Over 630,000 refugees have since arrived in Uganda and thousands continue to arrive every week, bringing the total South Sudanese refugees and asylum-seekers to over 900,000. "Life here is very difficult"
“They just slaughter you, whether you're a man, woman, or child. I lost all my brothers and my relatives. Life here is very difficult. With no man, nobody helps you.” Maria* (not her real name), is just one of hundreds of thousands of refugees who have fled to northern Uganda since July 2016, following renewed violence in South Sudan. While those arriving are in relatively good health, many have stories of horrific violence in their place of origin or on their journey. The scale of the refugee influx has also pushed Uganda’s progressive refugee policies to the limits, overwhelming reception conditions and the government’s ability to respond. 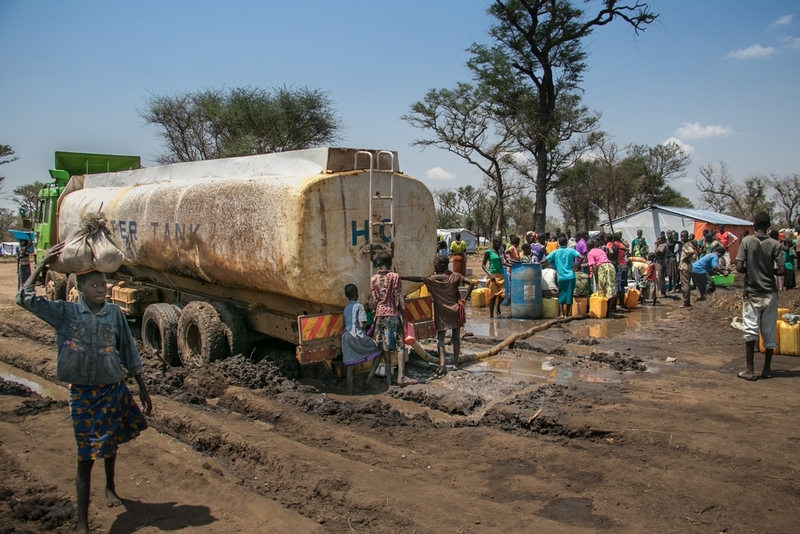 “Despite the large-scale humanitarian mobilisation, the emergency response is still far from being sufficient, and many people have been left with insufficient water, food and shelter,” says Jean-Luc Anglade, MSF head of mission in Uganda. An MSF vehicle outside a clinic constructed in Palorinya refugee camp, Uganda to meet the health needs of the population. Many newly arrived refugees are forced to sleep under trees, and delays in food distributions and a lack of potable water have even prompted some refugees to return to South Sudan. "As the flow of refugees shows no sign of abating, a sustained and long-term effort will be needed to assist these people over the next months, if not years." 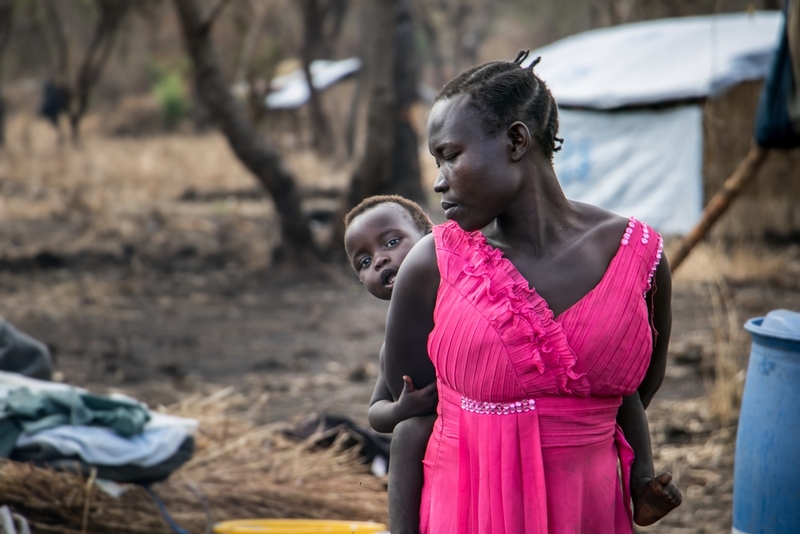 In addition, despite over 85% of the new arrivals being women and children, and despite widespread reports of sexual violence in South Sudan, there are very few organisations responding to their specific protection needs. In addition to its operations in South Sudan, MSF has been responding to the humanitarian crisis in Uganda since July 2016, with medical and water and sanitation activities. MSF is currently working in four refugee settlements in the north-west, Bidi Bidi, Imvepi, Palorinya and Rhino; providing inpatient and outpatient medical care, maternity care, nutrition, community health surveillance, and water and sanitation. 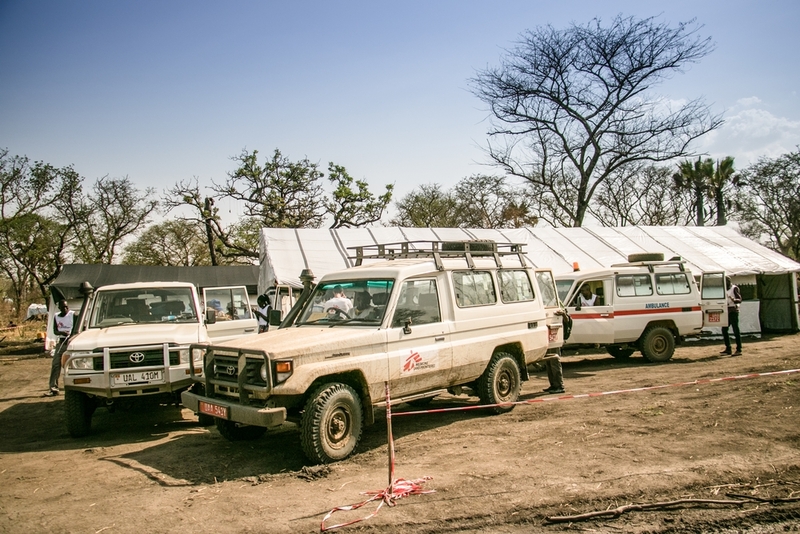 MSF also responded to an influx into Lamwo, on the border with South Sudan after an attack in Pajok, Eastern Equatoria, but has since handed over these activities to other organisations. 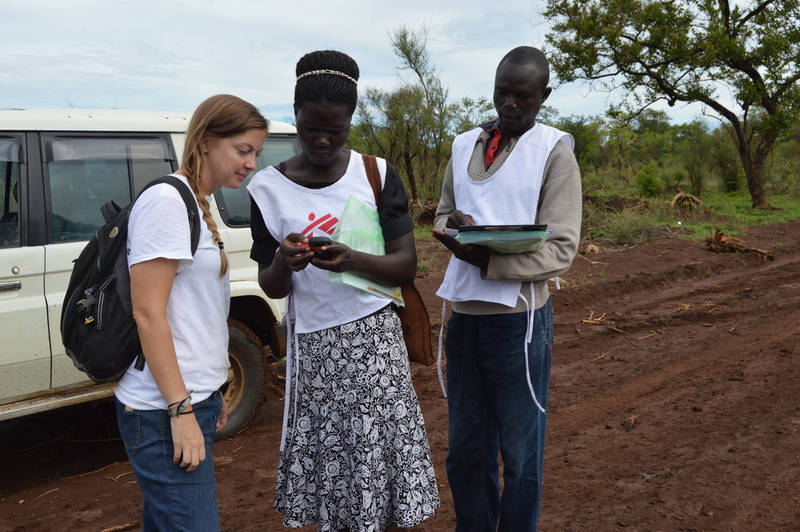 MSF staff members pause on the road to look at the location of a sample household in Palorinya refugee settlement, northern Uganda. Access to water is one of the biggest challenges in the refugee settlements and MSF has been scaling up operations in water support. In Palorinya, MSF produces an average of 2 million litres per day from the River Nile, supporting over 100,000 people. MSF produced a staggering 52,519,000 litres of clean water in Palorinya in April alone. A water truck is stuck in the mud in Palorinya refugee camp, Uganda. 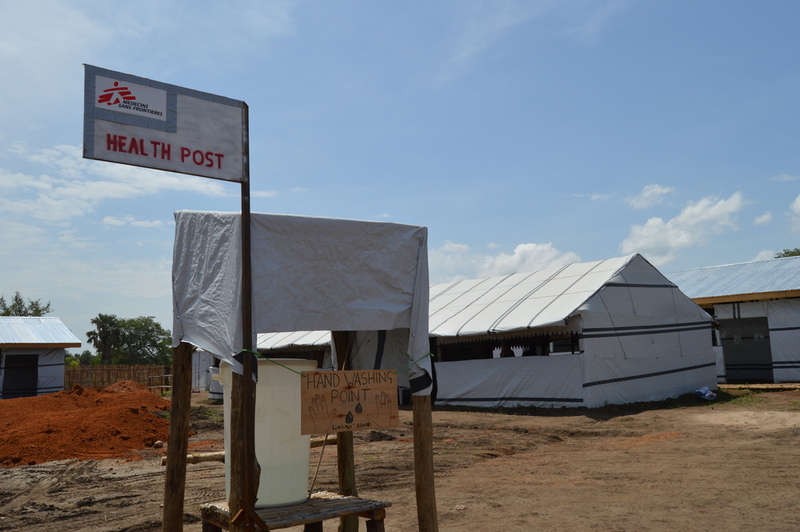 “There is a never-ending cascade of challenges,” says Casey O’Connor, MSF Project Coordinator in Palorinya. “We can treat millions of litres of water a day but it all needs to be trucked to water tanks in refugee settlements that are 150-250 square kilometres.